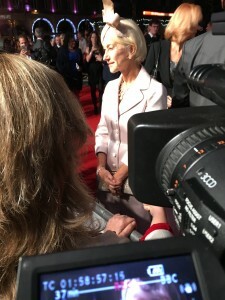 I adore Dame Helen Mirren! She’s one of my favourite actresses and simply a great role model as well. She stands out for her incredible versatility as an actress, she’s feisty, very intelligent, has a great sense of humour and is never afraid to get her opinions across. Yesterday Helen Mirren turned 70 and in her honour I have chosen a few clips from her career to show you. Enjoy! When she talked about Caligula she was spot on! Jane Tennison is still my favourite detective. And finally a recent interview where she talks about the theatre, her career, her parents and more. It’s very good.